The DataGrid control provides a flexible way to display a collection of data in rows and columns. 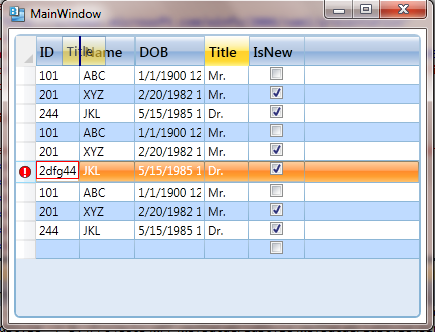 The DataGrid includes built-in column types and a template column for hosting custom content. The built-in row type includes a drop-down details section that you can use to display additional content below the cell values. Here is a simple style for WPF DataGrid that I want to share with all. <Ellipse Width="12"Height="12"Margin="0 2 0 0"